Attending school just 25 miles from the media capital of the world significantly improves your chance of securing valuable internships that are almost sure to advance your career. Whatever your career plans are, there are scores of internship possibilities in New York City and on Long Island. And if you’re from out of state, many of our students intern “back home,” taking with them classroom knowledge, skills, and the Hofstra work ethic we hear our internship sites love! Each student is guided by an internship advisor to make sure the experience is valuable for both you and the location. The Lawrence Herbert School of Communication works very closely with the Career Center to help you research an internship and then polish your resume writing and interview etiquette. The links provided below are to connect students with professional organizations related to their area of studies. These links can help with networking, research and opportunities within the major. 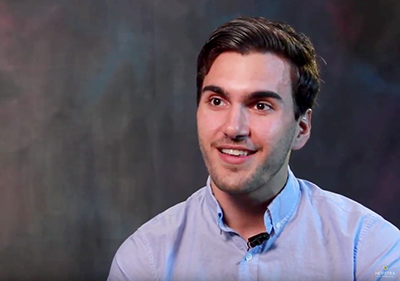 To learn more about Michael's internship experience, click here. 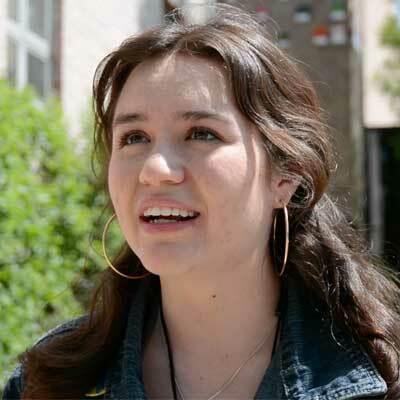 To learn more about Maria's internship experience, click here. "Definition 6 was a fantastic internship. I had the opportunity to work on so many projects ranging from Nickelodeon's Kid's Choice Awards, Oxygen's Dateline: Secrets Uncovered, Big Mouth, Sesame Street and more. It was a great way to get my foot into the Manhattan television scene, especially because they have so many contacts. They were an amazing group of people to work with, and I truly enjoyed my summer there." 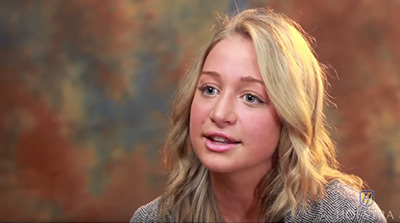 To learn more about Shannon's internship experience, click here. 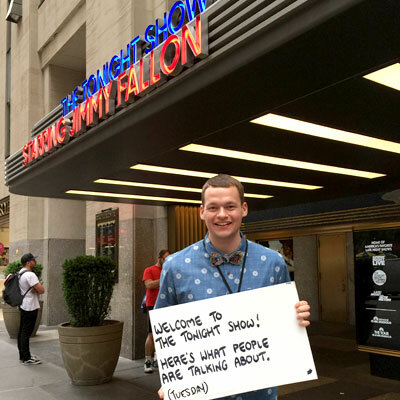 "Interning at The Tonight Show has been the ultimate dream! 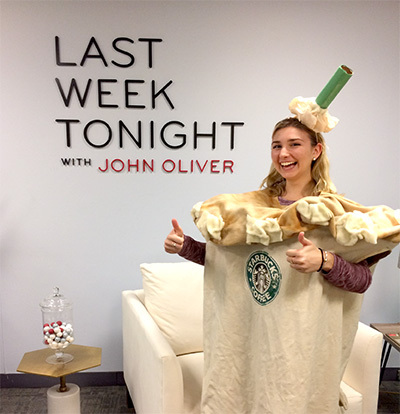 I was immersed in all aspects of producing a daily late night television show. I have learned so much about the television industry through networking with staff and crew alone. It is an experience that I will always cherish." 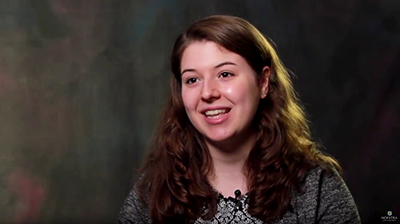 To learn more about Laura's internship experience, click here. "Interning at NY1 as a general news intern has been a dream come true for me as an aspiring reporter. Each day I was challenged to adapt to different environments, whether that be covering breaking news crime stories or news on the lighter side. I am thankful to Hofstra University and my professors for preparing me to perform to the best of my abilities at NY1." 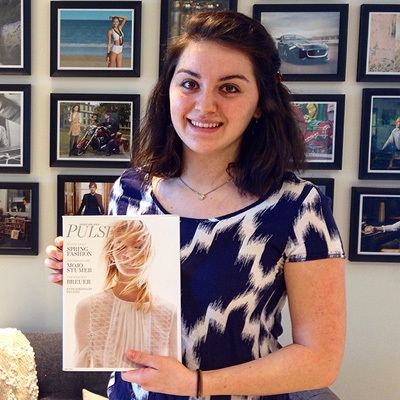 "Interning at Long Island Pulse Magazine has been such an exciting opportunity. 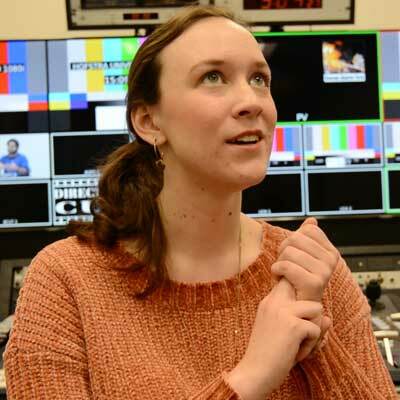 I've gotten to see how the things I learn in class translate into a real-world work environment and developed confidence in myself as a journalist." 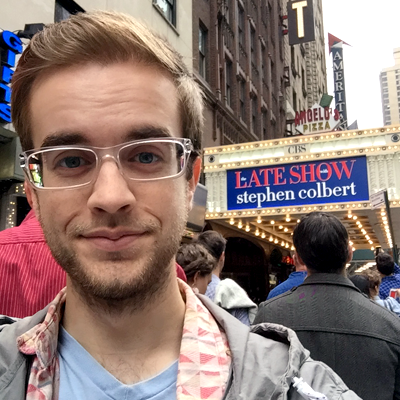 "Interning with NBC at LXTV as a production intern has taught me a new level of production. I get to apply what I've learned in my classes in a real-world professional setting. I'm so grateful for the experiences I've had while interning because they are preparing me for working in the field post-graduation." To learn more about Nick's internship experience, click here. To learn more about Ariana's internship experience, click here. 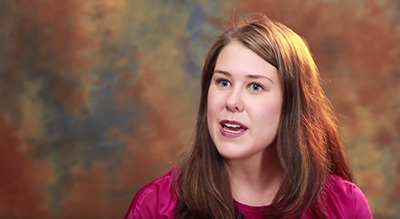 To learn more about Melissa's internship experience, click here. 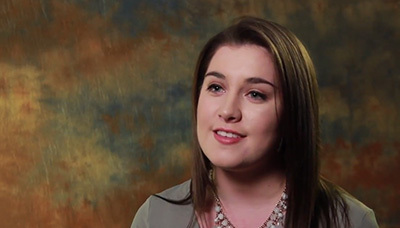 "I have had a great experience at my internship thanks to the internship program. I learned so much from my internship which I will take to my next production. 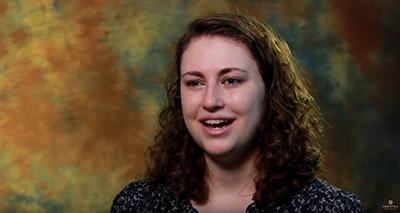 I was guided by my faculty advisor and internship supervisor, both were very helpful." To learn more about Braidan's internship experience, click here. 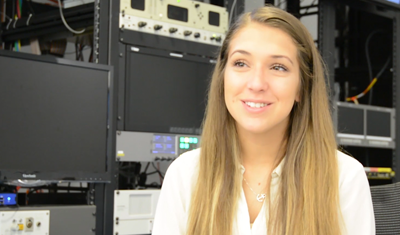 "I landed an internship with the editing department of News 12 Long Island through the School of Communication career fair. From the start I was treated like an employee, not a coffee-grabbing intern. Within a few days, I was editing pieces for air and helping to take in video feeds from out in the field. 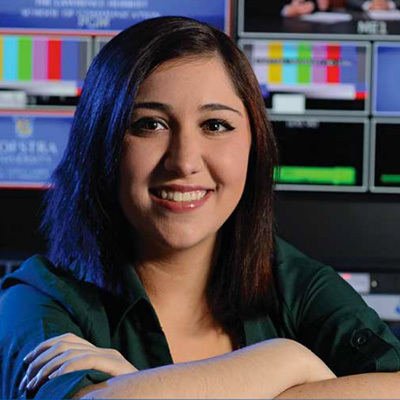 What I had learned in my production and editing classes at Hofstra gave me background knowledge on how everything worked, allowing me to focus my training on News 12’s specific workflow. Following my internship I was offered a freelance position with the editing department." 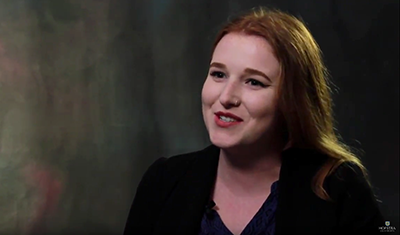 "I loved interning with Long Island Pulse Magazine because it gave me a lot of experience in a lot of different fields, which makes it easier for me to apply for a variety of future internships and jobs." 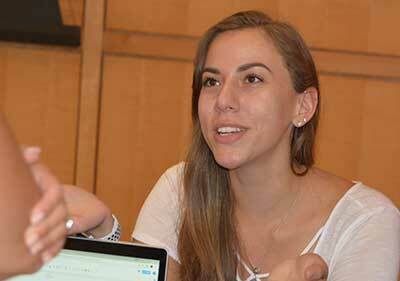 "My internship at Glenna Freedman Public Relations has given me the opportunity to learn about the profession in ways I couldn't from inside a classroom. What's more, it has let me explore different fields of public relations, and I plan to have many more diverse internship experiences before I graduate in order to decide what career path is best for me." To learn more about Kaeli's internship experience, click here. To learn more about Abbey's internship experience, click here. 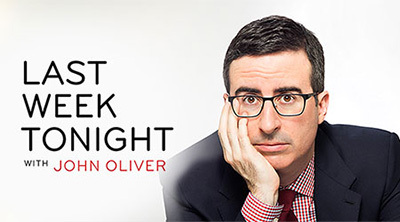 "No classroom can teach you how to interact with a company during the stress of putting a show together that evening; through Last Week Tonight I have learned what it takes to do that." "The internship program has allowed me to observe a more professional environment. It has given me a chance to see what the real world actually looks like, what it feels like, and given me a glimpse of what to expect when I get thrown into the fire. Because of the internship program, I feel more prepared and confident to tackle challenges now more than ever." 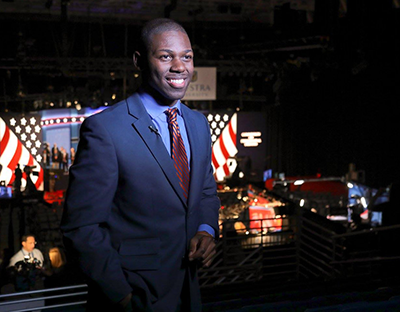 "My internship with MSNBC’s Weekends with Alex Witt has been such an informative and exciting experience. I’ve learned the ins and outs of a live cable news broadcast while honing my research and writing skills — sometimes in the back of the shot! 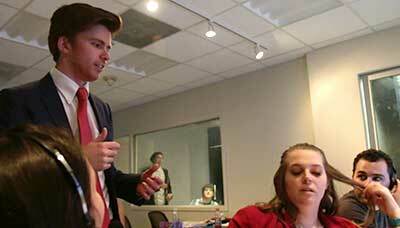 I could not recommend this internship more to anyone interested in broadcast news." To learn more about Danielle's internship experience, click here. "My internship has given me invaluable experience of what it means to work in a professional environment. 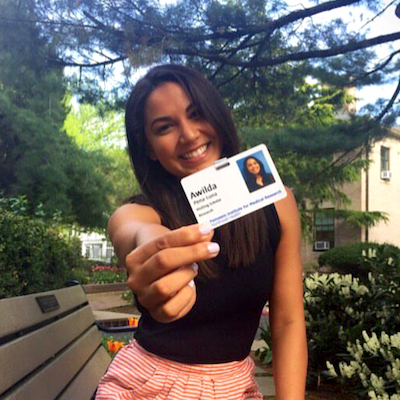 It has made me realize I love what I study and I will keep working hard towards a job in the PR field." To learn more about Brianna's internship experience, click here. 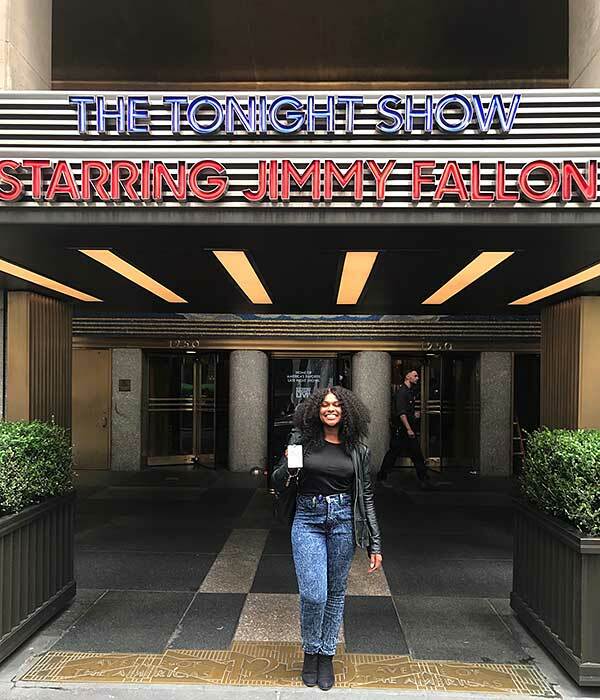 "Working as a Production and Development Intern at VH1 allowed me the incredible hands-on experience and industry insight I wanted during my internship. Viacom’s employees are all extremely helpful, friendly, and professional." 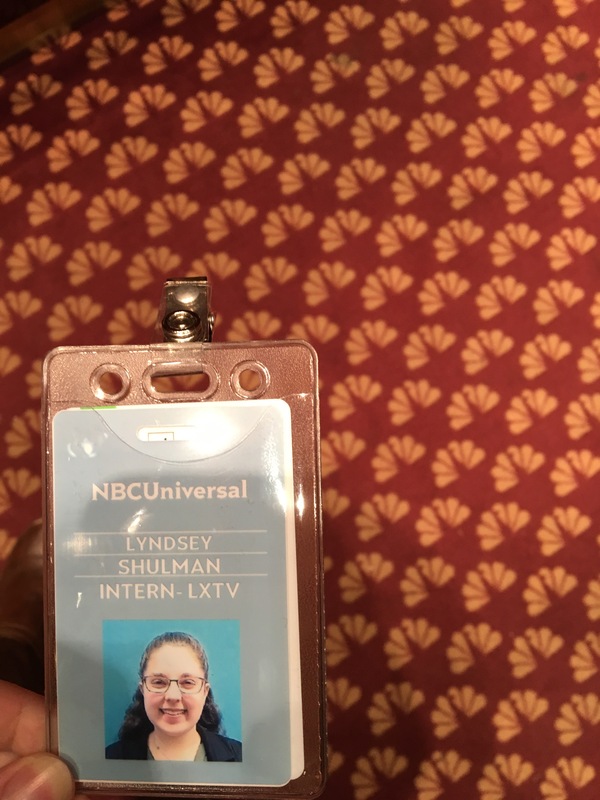 "My internship was an amazing experience and I learned so much about the real world television industry. I wouldn't have traded this experience for anything." 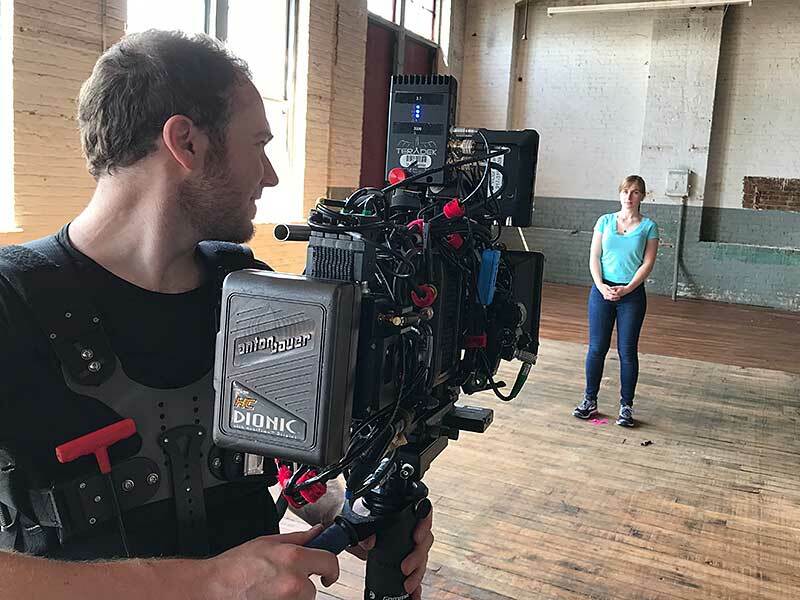 "Interning was a valuable experience as it allowed me access to a company that worked directly with many popular television shows and channels that I often watch and are highly regarded, such as HBO and AMC." 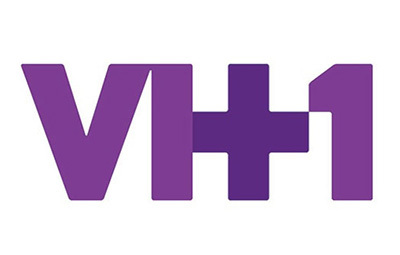 "My internship experience with VH1 and Logo has been an absolute dream come true. I was given the opportunity to intern for two semesters and was recently offered a full-time summer position as a junior in college. The skills I've learned through the Hofstra community have opened this door for me and now I'm doing what I love most." 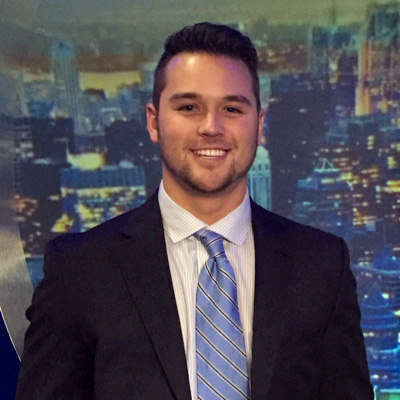 "My internship at We Fly Coach was a one of a kind experience, as the only intern for the company I was able to work on productions and edit content for their website, without my connections here at Hofstra this internship would never have happened, and because of that I am extremely grateful for Hofstra." 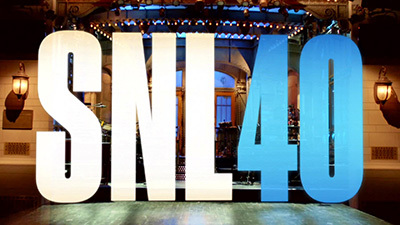 "Working at Saturday Night Live has been one of the most fun, educational, and rewarding experiences of my life. I couldn’t have ever grown as much as a professional and made such great contacts and friends if I had never been given such a once in a lifetime opportunity. It is something I will never forget." 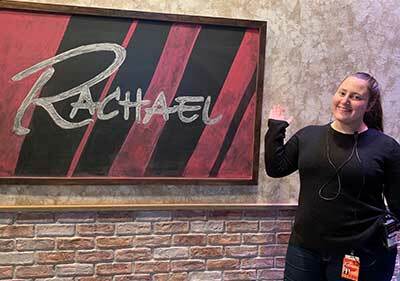 "By interning at WNET Public Media, I worked in a busy production environment and received hands on experience at the largest public television station in the country in one of the largest media markets in the world. "